Hard water is an issue that no one wants to live with, which is why water softeners are such prevalent and popular procurements among property owners. But what if you do not own your house or apartment? It’s not likely that you would want to spend a few thousand dollars on a water softener for a place you don’t even own. And you can’t just ask your landlord to buy and install a water softener because they are probably not willing to shell out the thousands of dollars needed for one. Unless you have an extremely understanding and generous landlord that wishes to increase their property value with a new water softener, you are probably going to need to figure out another way to get softer water for yourself. One way is through portable water softener services. Continue reading to learn what a portable water conditioner is and what its services entails. A water softener sales or service company may provide portable water conditioning services through the use of a portable water softener tank. It works by outsourcing the service and paying an assigned fee on a monthly or weekly basis. A professional water softener technician actually delivers a soft water exchange tank to your home or apartment and installs it for you. Depending on the number of occupants in your home, you will set up a schedule to have the technician come back and switch out the old tank for a new one. This can be done on a weekly basis, a bi-weekly basis, or a monthly basis. And there are set rates for each. After the technician picks up the old soft water exchange tank, it is returned to the company and regenerated for the next delivery. It is an affordable and Eco-friendly way to soften your water! These tanks don’t require any drainage or electricity, making them an easy and hassle-free addition to any rented home or residence. Call 317-537-9707 for professional water softener service in Indianapolis, Indiana. We are highly trained and qualified water softener technicians with decades of experience in the industry. 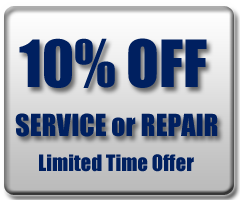 We repair, replace, install, and service all make and model water conditioners at the most competitive prices in Indy! Call 317-537-9707 for water softener repair services in Indianapolis, IN today. This entry was posted in water softeners and tagged buy water softeners, Indianapolis Water Softener Repair, install water softeners, Portable Water Conditioners, Portable Water softeners, Salt-Based Water Softeners, Salt-Free Water Softeners, water conditioning, water softener brands, water softener repair. Bookmark the permalink.